An important membership enhancement option will soon be available with the introduction of SBE MemberPlus. The Board of Directors of the Society of Broadcast Engineers adopted the new member benefit during the SBE National Meeting in Denver, CO, on Oct. 25. It will be available beginning Jan. 2, 2018. SBE MemberPlus provides significant additional educational benefits for the member who chooses this option at renewal time, or when joining the SBE. It has a higher cost, but the value in return will be well worth it to anyone who wants to take advantage of the many webinars the SBE has available. Traditional membership, with relatively low dues, will still be available and there has been no change to the benefits it affords. 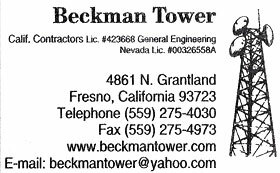 They include SBE print and electronic publications, SBE Alerts and Updates, social media outlets, job listings, compensation survey results and access to group life insurance at no additional cost. It also provides members with discounts for SBE certification, education programs and purchases at the SBE Bookstore. The cost of annual Regular, Senior and Associate membership will be $85 beginning January 2. 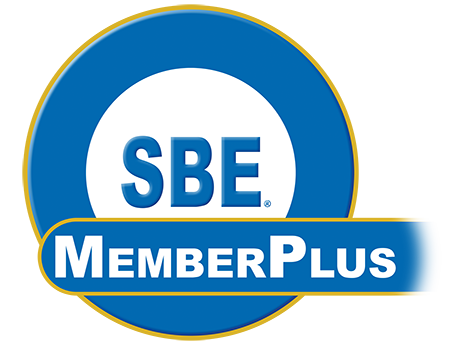 The SBE MemberPlus option, for $175 per year, will provide each member with unlimited access to the entire archived catalogue of SBE webinars, plus, all new webinars produced during the membership year. When the SBE MemberPlus option becomes available on January 2, there will be 61 archived webinars available, including the popular eight-part SBE RF101 series, the five-part Fundamentals of IT Networking series, both released earlier this year, and many more. To recap, for an additional cost that is less than the price of two SBE webinars, those who choose the SBE MemberPlus option will have access to a wide variety of broadcast technical, regulatory and safety educational topics for the entire membership year. 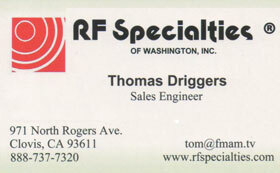 Many of which can be used for SBE recertification credit.